Having announced and introduced two new smartphones, the Mi5s and Mi5s Plus, Xiaomi has again something to talk about, and talking about itself. Thanks to the network, we now have images that portray a mysterious metal body device from the famous Chinese manufacturer with 3 GB of RAM and 64 GB of internal memory. It has not even given time to get used to the Mi5s and Mi5s Plus, when the new Xiaomi phone revolutionizes the network. 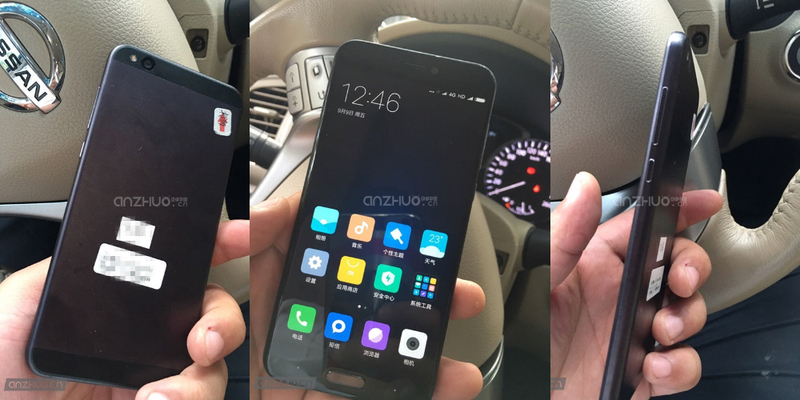 This device could be a new Redmi, or Mi5c. From the pictures you can find at the end of this article, we describe this as a smartphone equipped with 2.5D curved screen and fingerprint reader on the start button (probably ultrasound). The back, mostly made of metal, houses the camera, LED flash and what will probably be the space for the antennas. In another image, however, we can also add the technical characteristics: the SoC, probably a MediaTek Helio P20, is an octa-core processor running at 2.2 GHz, incorporating onboard 3 GB of RAM, 64 GB of internal memory and Android 6.0 Marshmallow with proprietary interface MIUI 8 (which includes the security patch of December last year). The source, who published the pictures on the Chinese social network Weibo, suggests that the price will be similar to the Mi5s, that in its country it's sold for ¥ 1,999, about € 267, or about $ 300. Finally, given the nature of this information, we invite you to take the news with caution and wait for confirmation (or negative) by Xiaomi, but, once again, the photo shows that if a company is capable of catalyzing the attention to itself with its first-rate products at low prices, with great value/price, that's Xiaomi, and certainly there is a smartphone (or prototype) on the way.